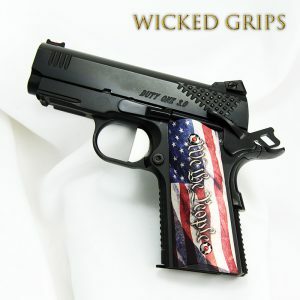 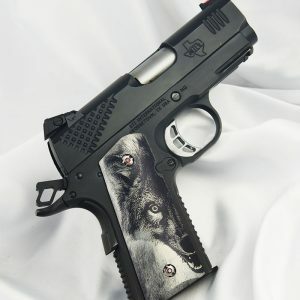 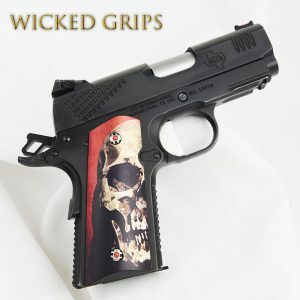 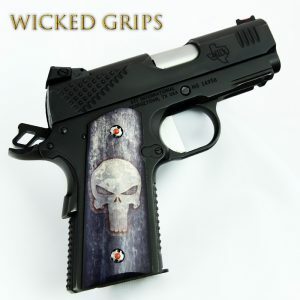 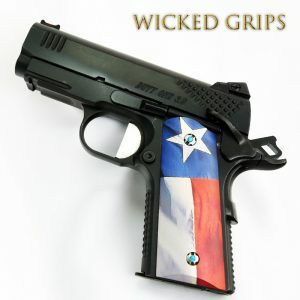 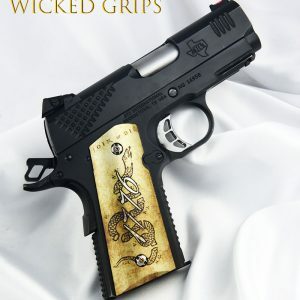 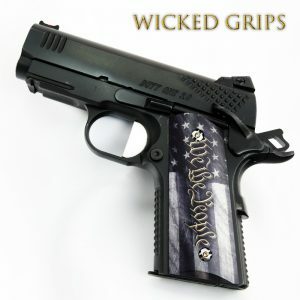 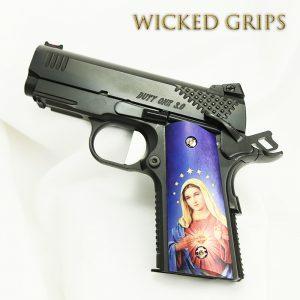 Our 1911 Officer model compact ART Grips are made in the USA and feature our custom art in a durable anodized finish. 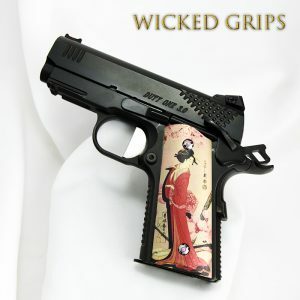 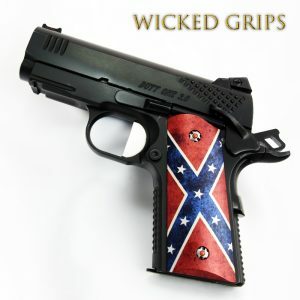 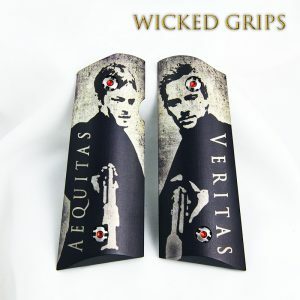 We also feature a few grips from our artist series. 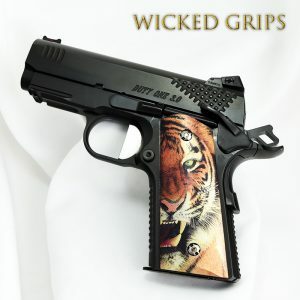 Our artist series grips are made in our studio to replicate natural materials. 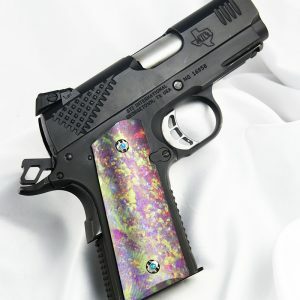 Either style is perfect for daily carry or fun on the target range. 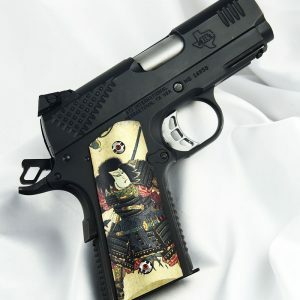 The 1911 Officers model frame is the compact frame size, which many manufacturers list under their own names… Kimber Ultra, Colt Defender, Dan Wesson ECO, etc.. 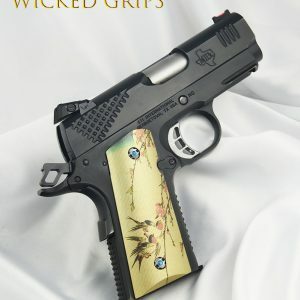 If you are not sure what frame size you have, please watch video below for an explanation of frame sizes. 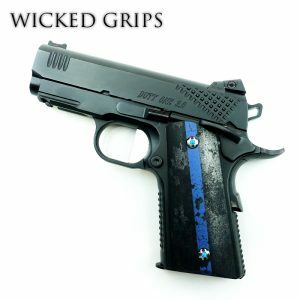 Grips are pictured with our gem screws, not included, but available for purchase.